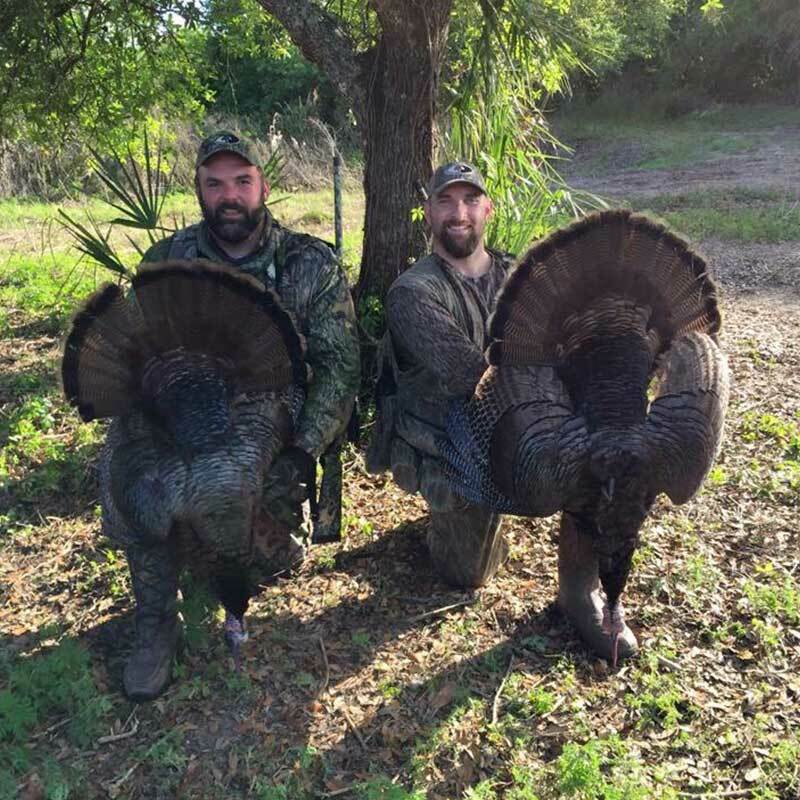 Join the hundreds of successful hunters guided by Cypress Roost Outfitters and bag the Osceola Turkey of a lifetime. Two days you will never forget. Our two day hunts consist of multiple hunts and are catered to all types of turkey hunting, whether bow or gun. We conduct our turkey hunts in several different ways. Hunts start a half hour before sunrise. Evening hunts start in the afternoon and end at sunset. 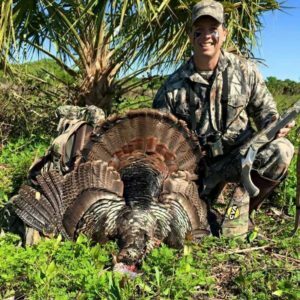 Join us for three day hunts and two evening hunts in beautiful Southwest Florida. Whether you're a bow hunter or prefer a shotgun, we have a hunt catered to you. Hunts start a half hour before sunrise. Evening hunts start in the afternoon and end at sunset. The hunts are conducted on 3,000 acres of prime South Florida hunting land located in the Florida Everglades. Spring turkey season can have many variables when it comes to the terrain and weather. We have had very wet seasons as well as very dry seasons. It is ideal to bring comfortable waterproof boots that area at least knee high. I was born and raised in South Florida and have hunted here my entire life. I have been taking people turkey hunting for as long as I can remember. I officially started guiding turkey hunts five years ago as a side business and have been very blessed over the years to host some great clients and made some wonderful friends. 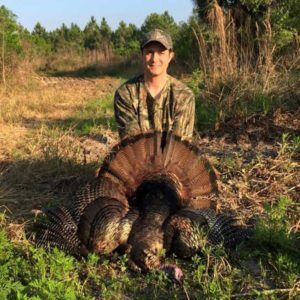 Turkey hunting is my passion and I figured, what better way to share my passion than to help other folks with completing their Grand Slam or harvesting their first turkey. Lodging and meals are included with all hunts. As hunting guides, we can't predict the weather, but we can make sure you have a warm bed and a great meal! Hotels are also available but are located a substantial distance from the hunting property and comes at a higher price. Clients will be required to purchase all necessary licenses prior to arriving. A non-resident annual hunting license is $151.50 or a 10-day hunting license is $46.50. You will also be required to purchase a turkey permit, non-resident is $125.00. Things to bring-Shotgun, ammunition, thermal cell, turkey vest or turkey seat for long sits, waterproof boots, turkey calls (I can call for you as well and have plenty of calls), binoculars, gloves, face mask, headlight/flashlight and a cooler to bring home your harvest. We're currently fully booked for the 2019 Spring Season. 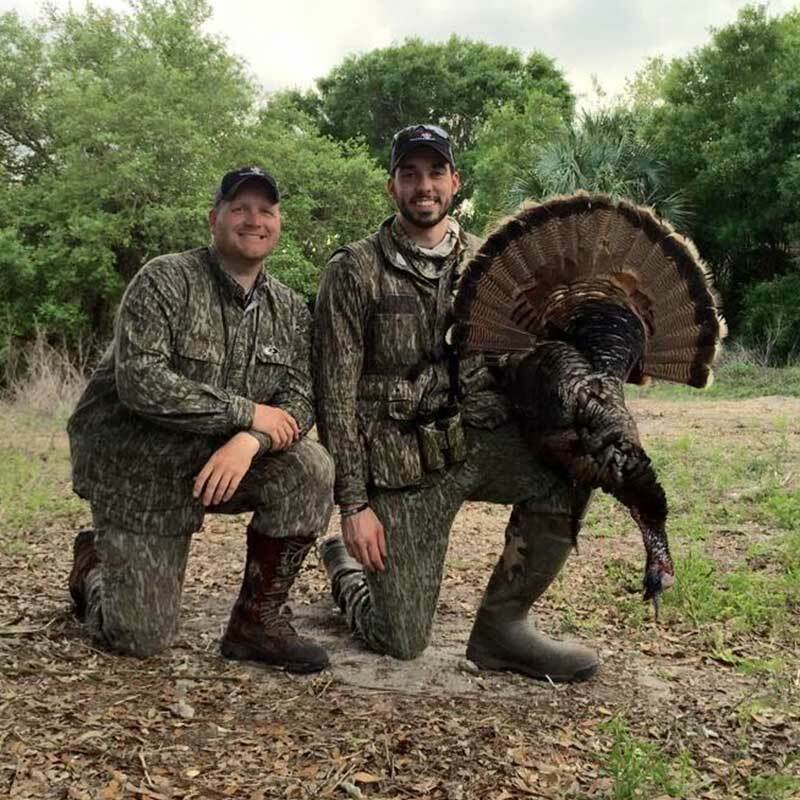 Check back for 2020 Spring Turkey Hunts soon! Travis was absolutely amazing. He stayed by my side all day even after many missed deer on the run and a missed shot by myself! He was very encouraging and made my first deer kill a great experience. Wouldnt want to hunt with anyone else after my day today! Travis is an awesome guy as well as a great outfitter! He really tries to make sure your not only successful but have a overall great experience. He is very knowledgeable about the environment he hunts. I really enjoyed him telling us about different plants and animals in the areas he hunts. We get to hunt all over the world filming for "Accept The Challenge TV" and we feel blessed to have met and hunted with Travis. He is one of the outfitters we try to hunt with as much as possible and feel like we're friends not just clients!! I've been down to hunt with Travis several times over the last 6-8 years. My poison has always been hog hunting, but I can confidently vouch for his skills as a turkey guide as well. He takes care of his clients like family. I haven't met anybody more passionate about turkeys, and he puts every ounce of himself into putting his clients on birds. © 2017 Cypress Roost Outfitters | Site by Forrest Creative Co.